Volume two in the I speak for Myself Series. 45 American Men on Being Muslim. A unique collection of stories shattering the misconceptions surrounding American Muslim men through honest, accessible, personal essays. In a revealing new book, All-American: 45 American Men on Being Muslim, you’ll find 45 unique stories from American Muslim men representing the gamut of America’s diversity. Their stories shatter the misconceptions surrounding American Muslim men through honest, accessible, personal essays. – Reflections from Imam Daayiee Abdullah, who self identifies as Gay and a practicing Muslim. 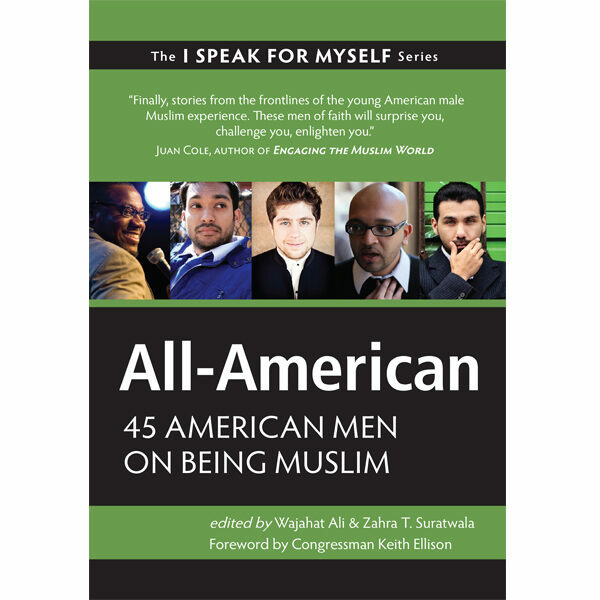 All-American: 45 American Men on Being Muslim is the 2nd volume in the I SPEAK FOR MYSELF series. Volume One, I Speak for Myself: American Women on Being Muslim was released in May 2011 and was a Huffington Post Top Religion Book of 2011.